Mike and Carol celebrated their 50th anniversary a couple of months late, but the Labor Day holiday weekend allowed their children and grandchildren to travel home to Wisconsin Dells to join the celebration! 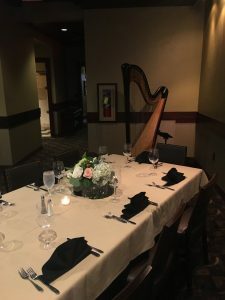 The hosted friends and family at Trappers Turn Golf Club, with harp music as the perfect background accompaniment. The music included familiar love songs, with a focus on those from the 60s and 70s, plus their wedding song, “Lara’s Theme” from Dr. Zhivago. 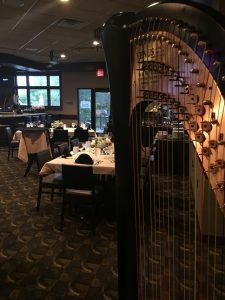 Having a harpist makes your celebration unique! 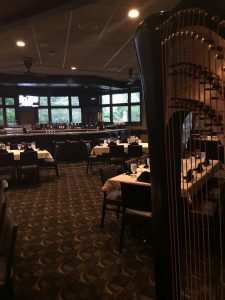 Contact me via my website ~ Wisconsin Dells Harpist ~ to check availability for your date! 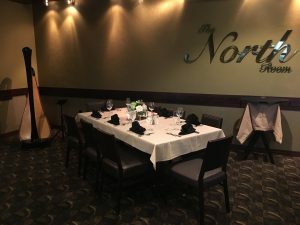 This entry was posted in Private Parties and tagged anniversary party, penti, reception, trappers turn, wisconsin, wisconsin dells. Bookmark the permalink.